Imagine if all that time and energy you spend posting and scrolling on Instagram actually turned into sales! Well, to date, I’ve run my business almost entirely via Instagram, have built connections, relationships and attracted premium clients and incredible opportunities. I know it can be a total minefield, but I also know how powerful it can be when you get it right, so in this masterclass I want to share with you how it’s really not about the numbers, but rather the content you’re putting out there, the connections you’re making and how to turn those into conversions. But first we gotta face facts: no-one is going to come knocking at your door asking about what you do. You have to knock on THEIR door and let them know! Less like a door to door salesman or a nerdy charity worker who guilts you into spending £7 a month for all of eternity on a charity you’re not sure even exists. But more like the hot neighbour that just moved in and brings you a basket of spinach and feta parcels and says: “there’s more where they came from” with a wink. Look, I know you’re on Instagram ALL OF THE TIME. That you’re spending a lot of hours of your life staring into this little grid. And yet the results? Nowhere to be seen! You feel like you’re doing all of the things (or know deep down you’re not doing any of the things) and want to feel like you’re making progress and seeing a return on your, let’s face it, crazy amount of time and energy investment! You don’t have to keep feeling like you’re shouting into the abyss. You can make an impact on Instagram. And you can turn your conversations and connections into clients. Your follower number really doesn’t create clients or make money. You’ll leave with a breakdown on what to share, how to share it, and plenty of tips and techniques to get your instagram efforts working for you! 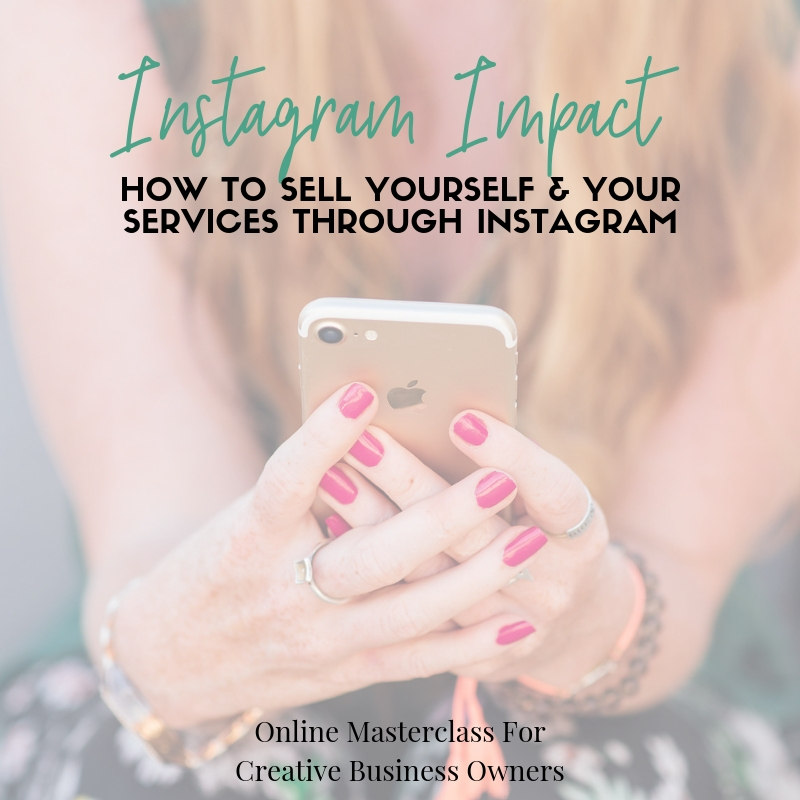 If you’re ready to start turning your pretty pictures into pounds, your captions into clients, and to make an impact on Instagram that grows both your business and your bank balance, this masterclass training is for you.